Tractor made from a 1930/31 Ford model AA, still in service with his 90 year old owner. 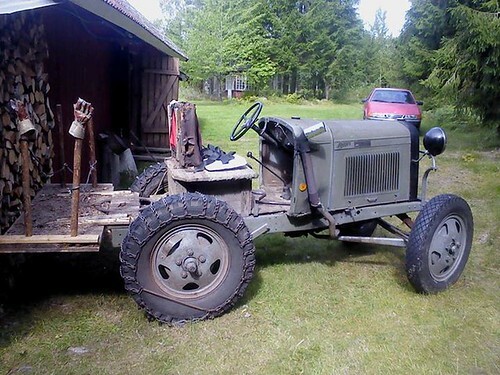 This is a collection of images of Homemade tractors, American Doodlebugs, and Swedeish A and Epa-traktorer. Many of the images here I have found all over the internet! If anyone find their own image here and disapprove of me showing it here, just send me a message and I will remove it/them images!